No one had thought that a lanky boy who debuted in films, without much fanfare, with a low-budget movie called Masaan (2015) would soon emerge as one of the most sought-after actors in Bollywood. We are, without an ounce of doubt, talking about star performer Vicky Kaushal who is being hailed as the next big thing in the Hindi film industry. Kaushal had a terrific 2018 as all his Bollywood releases – Raazi, Sanju and Manmarziyan – went on to garner both loads of money and appreciation from audiences. 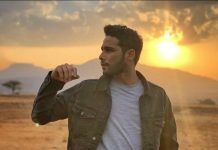 After capping off 2018 with four movies, including the Netflix release Love Per Square Foot, the actor rings in 2019 with Uri: The Surgical Strike, a film based on Indian army’s covert mission to destroy terror launch pads in Pakistan occupied Kashmir (PoK) to avenge the ruthless killings of 18 Indian jawans on 18th September, 2016, near the town of Uri in the Indian state of Jammu and Kashmir. 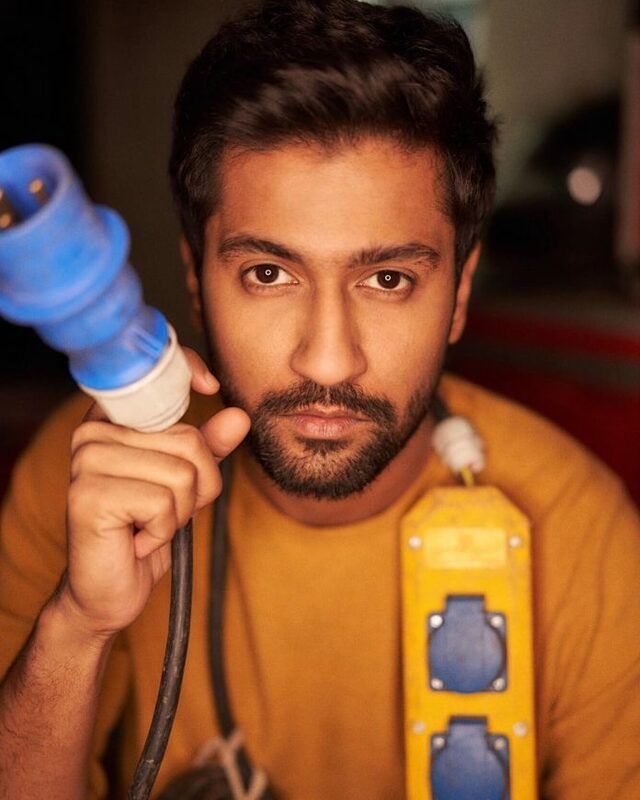 Recently, Eastern Eye correspondent Mohnish Singh caught up with Vicky Kaushal at a popular sea-facing hotel in Mumbai. The actor was in a hurry as he was getting late to catch a flight to Delhi, but he did squeeze out some time to sit down with us for a brief interaction. 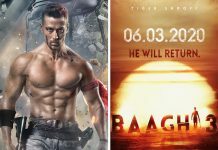 Read here what the actor has to say about his new film Uri: The Surgical Strike, how he looks back at the year gone by, and much more. You are the most important person in the industry right now as every filmmaker wants to work with you. How do you feel? To be very honest with you, those are very sweet words, but I am nowhere close to being the most important person in the industry. I have just begun my career. I just had a wonderful year. I hope 2019 turns out to be equally good. How do you look back at 2018? It has been a great year. And I really feel grateful to God and the people who gave me several opportunities and, of course, the audience who appreciated my work. It has just been amazing. I got to do some great work with some great people and now I am getting to hear great words for my performances. So, yeah, it has just been wonderful. You started 2018 with Love Per Square Foot, which premiered on Netflix, followed by Raazi, Sanju and Manmarziyan. In all these films, you played characters which were amazingly different from one another. What is the secret of your versatility, Vicky? I just got the opportunity to work with very versatile directors. As an actor, everybody aims at taking up different roles and try to do justice with each and every role. But when you get to work with good directors, you automatically perform to the best of your ability and, in the process, great performances happen. 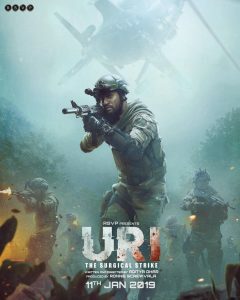 Tell us something about your new film Uri: The Surgical Strike. Can we say it has been the most challenging role of your career so far? It was the most exhausting experience I ever had while shooting for a film. I devoted around 6-7 months only to prepare for my character. I have never done that before in my career. And then two and a half months went into continuous shooting, out of which about 30-35 days were for filming action sequences which were very tiring. But I did my best because an opportunity like this does not come your way every day. We have no idea how the film is going to fare at the box-office. We do not know whether it will make money or not. But we know one thing for a fact that we did our best. We gave our sweat and blood to the film. We would have not toiled away more than what we did. Now whether the audience likes it or not, it is totally up to them. How much did you know about the Uri attack before you were approached for the film? And how much you learned after coming onboard? The term “Surgical Strike” was something which I heard for the first time after the operation was executed on 29th September, 2016. Before the strikes, I had generally heard about wars and all. I had heard about the Kargil war when we all were growing up. But surgical strike was something very new to me. It was the first time when I heard it. I first heard about it when the army addressed media after the strike. I was like, ‘What is surgical strike?’ After reading about it in newspapers and watching debates and news bulletins on television, I understood a bit about it that how our army planned the mission and covertly executed it. They infiltrated PoK and killed around 30 militants and came back unscathed. Even after knowing about the strikes through various mediums, I was still curious to know more about it. I never knew the details. So, when the script of Uri came to me, the actor in me sat aside as the citizen in me wanted to know everything about it. As I was leafing through the pages of the script, I came to learn about so many interesting things. The entire planning for the strikes was carried out just within eleven days, and you will get to see what all happened on each and every day in our film. I feel Uri is an important film and every Indian citizen should watch it. Was there any goosebumps-raising moment during the shoot of the film? Not one but many. When I was training with the army, I used to get goosebumps every now and then, because it was an exhausting experience. Whenever I finished one task, some jawan would come and say that it was just a trailer (laughs). But it was also an honour for me that I got to play a role like this. As an actor, I feel blessed that I got to live like them for some time. Whenever you speak to jawans and listen to their stories, you cannot help getting goosebumps. I would be lost in their stories about their probation period, their training and special missions. They are the real heroes of our country. We are the ones who walk away with all the limelight, but the real heroes of our country are our jawans. What do you have to say about people who do not think twice before trolling films like Uri? Some are of the opinion that films like this promote jingoism and hyper-nationalism. See, you have to be very realistic about the fact that no matter what, you will have to face varied opinions from people. Especially, Twitter is a place where it is easy to just throw an opinion because no one is going to revert. But that is okay. If you do something creative and opinions are pouring in, negative or positive, everything is welcome. It is at least instigating a discussion, which is great. Having said that, I would like to say that everyone should watch the film before forming an opinion. All their doubts will be cleared after they see the film. We would really like that they find their answers in the movie. We are not going to talk about anything on Twitter. Directed by debutant filmmaker Aditya Dhar, Uri: The Surgical Strike hits theatres on 11th January.